(Langtang Trek is one of the most beautiful Valley) the short sentence spoken by Tilman (An English mountaineer and explorer, renowned for his Himalayan climbs and sailing voyages and climbed highest peaks in the world till 1950 who worked for British National geography society. The above words explain everything about Langtang trek when it is said by the worlds famous explorer. 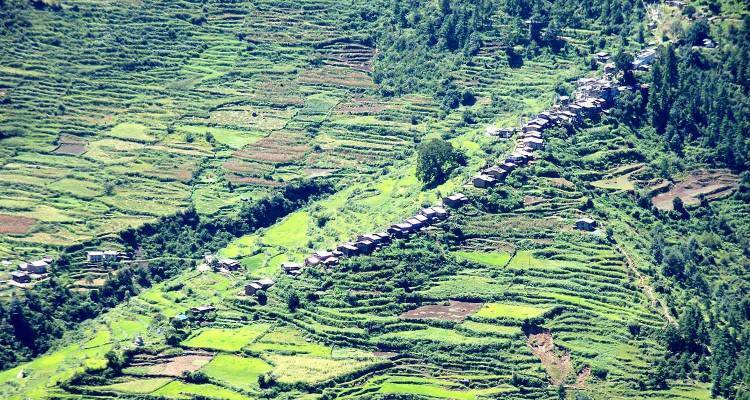 Indeed it is one of the most beautiful valleys in Nepal that I have seen. Langtang Valley Trek can be done either starting from Dhunche or Shyabrubesi in 8-10 days. Though it is the shortest distance from Kathmandu you can still see undisturbed wild areas and remote villages settled by the Tamangs (though they are the Tibetan descendent). 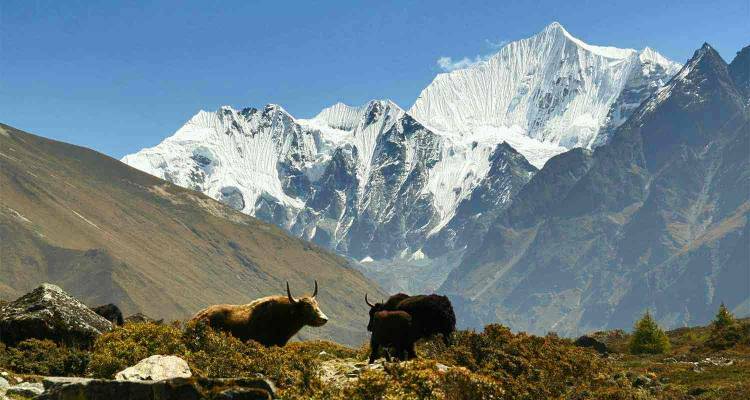 Know the old myth story that describes how Langtang Valley was discovered while the yak herder was chasing the yak that came from Tibet. 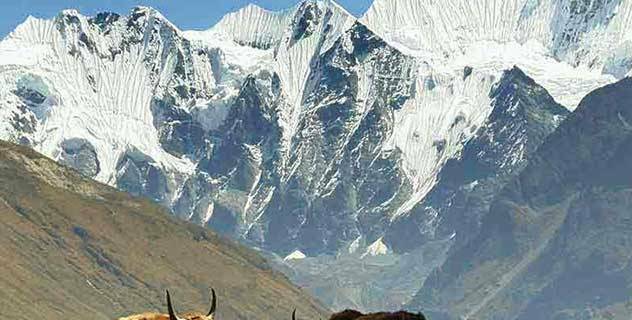 Langtang trek which starts from 1450 meters at the lowest point is an introductory trek to experience the Himalayan scene and the Tibetan culture that goes up to 4980 meters height of Tcherko-Ri. Ending point: Kathmandu bus station airport. Trekking difficulty: 3* out of 5*. Accommodation in Kathmandu: 2* Hotel/ 3nights, (Hotel upgrade is available in client’s interest). Highest point of the trek: Kyanjin Ri 4760meters /15612 foot or Tserko Ri 4920 Meters. Highest peak view: Langtang Lirjung 7246 meters /23766 foot. Langtang Ri (7246m) Kimshung (6747m), Langshisha Ri (6370m) and Ganchhempo (6387m) Dorje Lakpa (6460m). 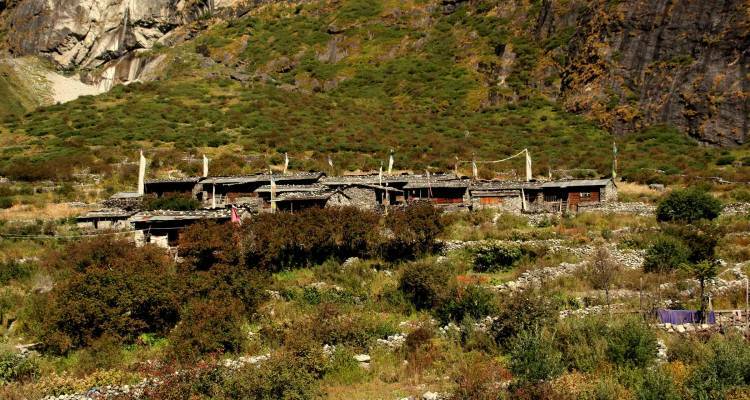 Encounter with Tibetan descends and old village of Langtang valley. Climb the high viewpoint over 4500 meters and get the view of 360 degree of Himalayan views. Close view of Langtang Lirjung glacier. Day 02: Sightseeing in Kathmandu: Pashupati Temple, Bouddhanath Stupa, Patan Durbar Square and Swyambhunath (Monkey Temple). Day 03: Kathmandu- Syabrubesi (1420m) 7-8 hours, Lodge. Day 04: Syabrubesi to Sherpa Gaun/Rimche (2530m), 6-7 hours, 1140m uphill, 140m downhill, Lodge. Day 05: Rimche Hotel to Langtang Village (3441m) 5-6 hours, 960m ascend, 60m descend Lodge. Day 06: Langtang Village to Kyangjin Gompa (3875m) 3 hours, 445m ascend, Lodge. Day 07: Trek to Kyangjn Ri (4760m), 4-5 hours, 885m ascend, 885m descend, Lodge. Day 08: Kanging Gompa to Rimche (2540m) 6-7 hours, 1300m descend, 80m ascend Lodge. Day 09: Rimche to Shyabrubesi (1420m) uphill 140m, downhill (1140m), Lodge. Day 10: Drive back to Kathmandu 8 hours. Shopping day relaxing day complimentary massage. Day 11: Departure day: A day to say goodbye and take happy memories back home. Accommodations twin bed Sharing BB (bed and breakfast) plan basis in Kathmandu for 3 nights in a standard hotel Star Hotel. Tea house lodge. Most of the tea houses are basic standard but we provide the cleanest and comfortable one. English Speaking experienced Trekking Guide (Govt. Trained/Licensed Holder) porter (Carry max. 22 Kgs per porter) during the trek. Guide during sightseeing in Kathmandu. Sightseeing entrance fees to above mentioned places. Insurance, Transportation, Wages, Equipment’s and all meals & Lodges of guides during the trek. First Aid Kid Box (for Normal Treatment only). Any kind of drinks during trekking International Airfare to and from your country. Alcoholic Drinks, Cold Drinks, Boiled & Mineral Water, Beverages, tea deserts Etc, during trekking. Tips for Guide & Porter after complete programmed. Hot Shower, Battery Charges (Available in Trek with Extra cost or Free in some lodges) phone calls, laundry service, internet, bar bills, battery recharge and unforeseen cost such as Flight Cancellation or Delayed, Sick in Trek, and Helicopter rescue in trek, cost due to bad weather etc which is out of our control. Any Other Cost, which is not mentioned above will be paid by clients themselves.